Dream Foundation teamed up with San Diego natives Courtney Laabs and Brooke Rinehart to raise $50,000 to fulfill 30 Dreams. 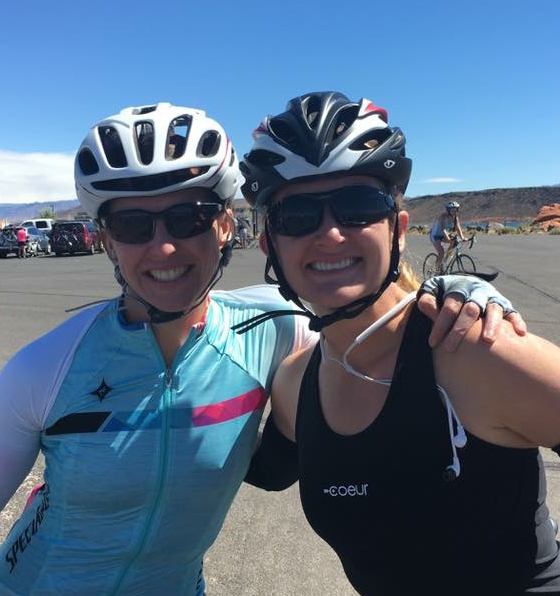 In August, Rinehart completed the Ironman Coeur d’ Alene while Laabs cheered her on for what has become known as Iron Dreams. For more than 10 years, Laabs had wanted to compete in an Ironman competition after her first attempt was cut short when her mother, Lori died within a year of being diagnosed with stage four adenocarcinoma at the age of 51. Laabs initially began training in an effort to cope with her grief. As fate would have it, weeks prior to the Ironman Coeur d’ Alene, Laabs learned that she would be a mother herself. After she’d been told it was medically impossible for her to get pregnant, she and her husband, Kelly planned to meet with a fertility specialist after the race.